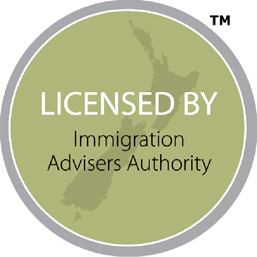 We have identified service providers in the market who may be relied upon to deliver Tri-Nations Migration clients service at the highest level, so as to ensure that you make a smooth transition to Australia or New Zealand. 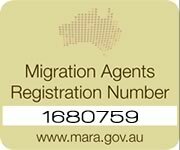 The following companies have proven themselves to Tri-Nations Migration clients who have already made the move Downunder and they would welcome the opportunity to assist you in preparing for your move. Contact our esteemed partners for advice today. JBL Wealth Management is one of the top independent wealth management & financial planning firms in South Africa. They are an authorised financial services provider specialising in the growth and protection of their clients’ wealth and strive to provide their clients with the best advice and financial products. They pride themselves on both the calibre of their people and the high level of service they provide to their customers. As you are aware, many South African’s have emigrated to countries all over the world. Ironically, due to the country’s onerous exchange control regulatory environment, millions of Rands have remained trapped, (‘blocked’) within its borders, producing little if any value for their owners. South Africans based off-shore are now able to access retirement annuities, as well as other South African based funds, far more easily than before. JBL Wealth will arrange your tax clearance, formal emigration (if necessary), the opening of a blocked account and deal with all the other bureaucracy necessary to ensure your money can be banked off-shore. For prospective migrants, JBL Wealth can assist with the establishment of Preservation funds to protect your assets. Migrants with pension plans, retirement annuities and provident funds can all benefit from the advice of JBL Wealth. They can assist you to access your funds for immigration purposes and they can facilitate the move of blocked funds/inheritances to your new country of residence. Chas Everitt Estates is focussed on providing tri-nations migration.com clients with a high quality service that spans the spectrum of the property market to ensure you achieve the highest possible price for your property in the shortest time, with the least hassle. The company is a dynamic organisation enjoying a competitive advantage by offering the best technology, tools, and support to the best trained sales associates to make you, the customer – No. 1. Chas Everitt can help you to relocate to any destination in Australia or New Zealand, and at the same time they will attract more buyers for your property and sell it faster through their global internet system and interactive website. Magna Thomson International Movers maintains the highest level of customer care in the areas of physical packing quality, shipping administration and customer liaison. The company will pack and ship your container of personal effects to Australia or New Zealand and if necessary, can offer palletised storage of your goods which are securely stored in dust free conditions. The company’s service also encompasses the clearing of your container on arrival in Australia or New Zealand and ensuring that your precious effects are delivered to your new home in an efficient and caring manner. Magna Thomson International Movers looks forward to working with Tri-Nations Migration clients and for you to experience the true Magna Thomson experience: professionalism that will move you.